Xiaolong, Keeper of Magic, is the kind-of-leader of the Pond. 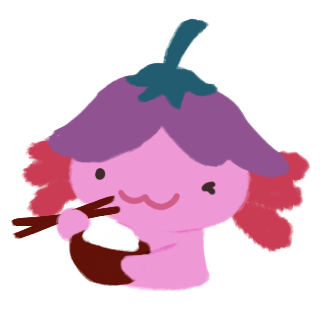 Xiaolong is an axolotl, has baby pink skin, and is generally seen wearing her favourite purple flower hat. She loves to read and share written-magic, and you will see her when she has a book review to share. Gen the Tortoise Apothecarist is the Pond’s herb gardener and keeper. The scales on Gen’s face and legs are green, and their shell is purple and white. Gen loves gardening and seeing plants grow, so you will see him when he has something he wants to share with you from his art garden. Varian the Toadshifter couldn’t decide what they wanted to be as a tadpole, so they decided to be everything and is fluent in all kinds of magic. They have light green skin. 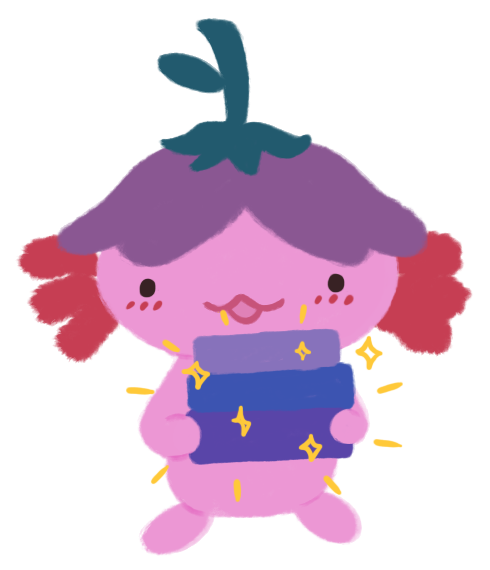 They want to get better at sewing-magic, and they love making their own costumes, so you’ll see them when they have some books to recommend. Amina the Hedgehog Bard is a brown hedgehog and is often seen holding her magical lute. Amina isn’t a resident at The Pond because she’s often away learning new kinds of magic, but when she’s visiting The Pond, you’ll see her sharing a discussion post. Cuddle the sea otter is a shy inhabitant, but don’t be fooled – once you become friends with her, she will share her big opinions. Her stuffed animal otter, Party, is her source of comfort. She loves having a Cuddle Party in a comfy corner of the pond with a yummy fish snack, a cup of water, and a book. She loves a good nap, so thank goodness she’s always wearing her nightcap! She will review the books she reads and provide updates about her reading plans and bookish opinions. Missed out on meeting the Pond inhabitants for the first time? You can relive that memories in this post, Meet the Inhabitants of The Quiet Pond, and the first time everyone met Cuddle! You can also use the Pond’s magic to revisit some your past visits and memories at the Pond, here at the Features page.